Sensory-Friendly Music, Bubble and Comedy Show! 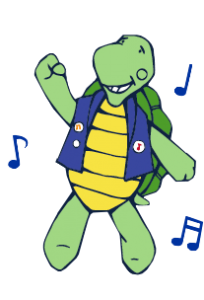 The Sensory-­Friendly Music, Bubble and Comedy Show is Turtle Dance Music’s flagship program, which has been hailed as, “fantastic,” “fun,” and “turtle­-riffic!”. The Music, Bubble and Comedy Show! : Why Reading Rocks! Grades Pre-K – 2nd, Grades 3 – 5, or Family Show! The Music, Bubble and Comedy Show is a high-energy music and comedy show about why reading rocks! The show engages children with songs, comedy, bubbles, music technology and is crafted to inclusive for all children including children on the Autism Spectrum. The show is a great time for parents, teachers and caregivers. 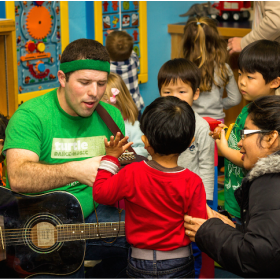 Each song in the 45-minute show is accompanied by hands-on, visual, and sensory experiences designed to help kids learn and have fun at the same time. Kids will dance, sing, and understand why reading is so important for the future. The Sensory-Friendly Music, Bubble and Comedy Show Trailer!